Prairie Pure Cheese was formed in July 2004 as a partnership between the Aves Family and the Gerloff Family. The Aves are the owners of the cows that produce the milk for our cheese. 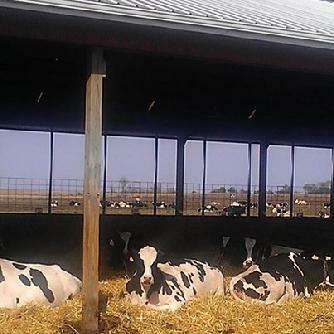 Located in Belvidere, Illinois the Aves farm is a 100 year old dairy farm. The other partner is their cow veterinarian, Dr. Brian Gerloff (as well as his family) who also grew up on a 100 year old dairy farm in Woodstock, IL. With Dr. Gerloff having his PhD in Dairy Nutrition, he advises the Aves on what to feed the cattle to keep them healthy, provide great tasting milk, and to produce large volumes of milk (without the use of growth hormones). Hence the great flavor in all our cheese. We sought out the best cheese craftsmen to work with and initially began working with a small cheese plant in Southern Wisconsin - Edelweiss Town Hall Dairy, Monticello, Wisconsin. Our first batch of Butterkase and Cheddar cheese was available in September 2004, and was marketed and sold in seasonal outlets across Illinois. We then began working with Deppeler Creamery in Monroe, Wisconsin who makes our undeniably delicious Swiss cheese. In 2011 we began working with Wiskerchen Cheese, Auburndale, Wisconsin who makes our Feta and our Blue Cheese. In 2013 we changed over our Cheddar cheese to Cedar Grove Cheese in Plain, WI. In 2014 we changed our Cheddar to a White Cheddar, same amazing flavor, just no coloring. We strive to produce a healthy, flavorful milk so the craftsmen can make some of the best tasting cheese for you, our customers!